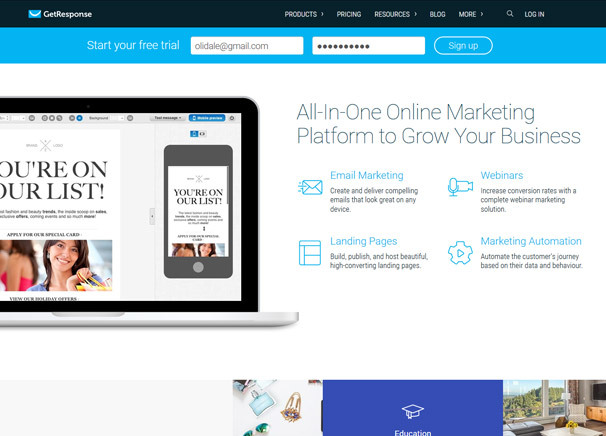 The Complete Guide to Email Marketing Services: Which are the Best Providers? A form of direct marketing, email marketing has become an essential component of virtually all marketing campaigns due to its cost-effectiveness and a wider reach. Gone are the days when small businesses struggled to run effective marketing campaigns due to budget constraints. Email marketing is not only effective in maintaining strong relationships with existing customers, but also an effective tool to attract new customers and promote products and services. Compared to other traditional marketing methods, collecting email addresses and using them the highest ROI and is the best bet for small businesses. Sending bulk email from Outlook is not a viable option anymore for businesses with growing email list. Despite decades of email scams and Nigerian-prince-schemes, email marketing still remains relevant and is vital for businesses of all sizes, especially small businesses. Email marketing is not just limited to promoting brands and products as it’s also effective in enhancing relationships, getting feedback, providing important information/updates and more. More personalized and highly targeted messages are more effective than other tools, while transactional emails make it easier for businesses to update subscribers about upcoming events, offers and special promotions. 4 Why use an Email Marketing Service? From a small business perspective, cost effectiveness is perhaps one of the main reasons businesses prefer email marketing, which allows marketers to get better results. Email marketing also allows marketers to connect with existing customers and prospects in a more personalized and highly targeted way. The number of email accounts is roughly estimated to be three times more than social media accounts, making email kind of a web currency. This means no other channel offers such a wide reach as email does and an email subscriber is considered more valuable than a Facebook fan. More than 90% emails land right into the inbox of subscribers, while chances of Facebook fans seeing a business post are just around 2%. In other words, email messages are about 45 times more likely to be seen by a customer/prospect than a Facebook post. Marketers’ ultimate goal is to turn prospects into buying customers and email marketing provides a solid platform to accomplish that goal. With a click-through rate of almost 3% (compared to 0.5% of tweets), email campaigns are arguably the most powerful marketing channel. As email subscribers have already shown interest in your company by explicitly subscribing, they are six times more likely to click-through via email. Emails are more measurable as campaign monitoring tools provide businesses with real-time access to important performance indicators such as clicks, opens, social shares etc. Medium to large businesses (or even small businesses) who integrate email marketing with existing CRMs can have even better visibility into how email marketing campaigns are impacting business deals and opportunities. Unlike Facebook, Twitter and other major social media platforms, email is not owned or controlled by any single entity. This means your email list will remain your own asset and no one can limit its effectiveness. A marketer is at the mercy of social media platforms as they are known to frequently make changes to their algorithms, restricting followers to see brand posts. But that’s not the case with email as it’s an open communication platform for everyone to use. Email is a more professional channel to communicate business messages and around ¾ people prefer to receive promotions via email. Email is also the most effective medium when it comes to Return-on-Investment and outperforms every other channel. The reason is simple: sending bulk emails on your own is too much of a tedious task, can slow your hosting down and even get your account suspended by your web host plus services like Gmail have a higher chance of sending your mail to spam if it isn’t sent properly by a dedicated email service. Email marketing services also provide a variety of additional tools that help businesses monitor performance and engage customers more effectively. Such services make it easier to manage contacts, segment users and track performance and ensure that your emails land in recipient’s inbox. But with so many email marketing services available, it often becomes difficult to choose the one that works best for you. To make the selection process easier, here are some of the best email marketing services providers that offer great features and value for investment. Being one of the most popular providers, MailChimp offers an easy-to-use interface and seamlessly integrates with other platforms, including WordPress, Shopify and Magento. 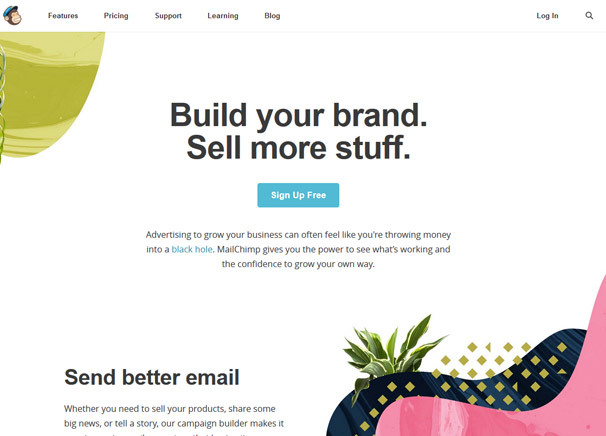 MailChimp is especially a great option for small and medium businesses and offers free services for new businesses that have limited subscribers and emails per month. Paid subscriptions start from $10/month, while the Pro Marketer package costs $199/month and offers enterprise-level features. MC is also a great solution for starters who have no coding experience and makes it easier for them to design and start sending emails. MailChimp is among the most successful providers when it comes to delivering emails right into the inbox. Features such as A/B testing, tracking and targeting make them one of the best providers and allow users to engage with the target audience more effectively. 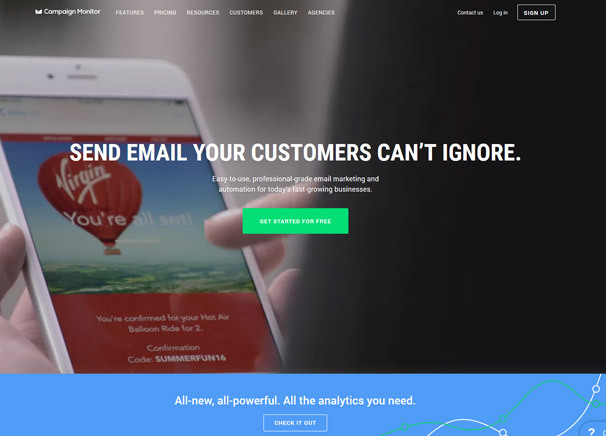 Constant Contact is among the biggest and fastest-growing email marketing services providers and provides an easy-to-use interface and powerful features that help manage campaigns in a better way. Compared to MailChimp, Constant Contact also ensures very high deliverability rates by using sophisticated technologies and offers most of the features that its competitors offer. Pricing plans start from $20/month (0-500 list size) and go all the way up to $95/month (5,001-10,000), while custom pricing is available for 10,000+ lists. However, auto-responding capabilities are rather limited and many users reported experiencing slow loading of the dashboard. Constant Contact supports event registration and works great for businesses involved in event hosting and similar services. 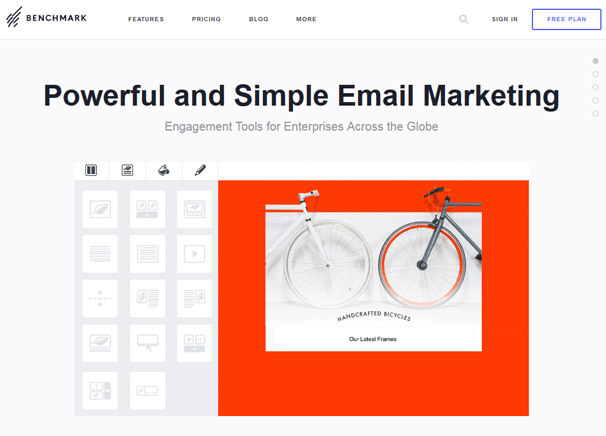 They includes all the tools and features required to create engaging emails, manage email lists, contacts and more. 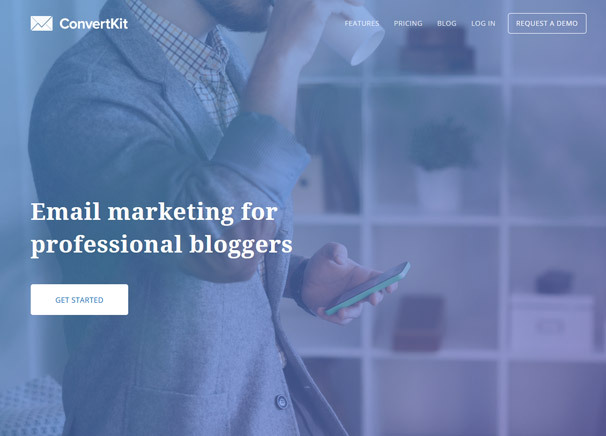 ConverKit is another easy-to-use email automation system that offers great return on email marketing investment and powerful features for pro bloggers. CK makes it easier to segment contacts by identifying interested prospects or people who have already made a purchase. ConvertKit includes most of the features other providers offer, plus a few more including the autoresponder aka Sequences. The clean and polished interface allows users to manage everything more efficiently in less time. Although the templates are limited in number and somewhat rigid, they are actually quite nice and work well for most campaigns. Pricing starts from $29/month for up to 1,000 subscribers, while 1,000-3,000 and 3,000-5,000 subscribers cost $49 and $79 per month respectively, Custom pricing is also available for bigger lists. Stream Send offers powerful reporting and tracking tools that allow users to monitor a variety of performance indicators, including click rates, open rates, bounce rates and forward rates. But it’s not suitable for users who want powerful integration capabilities as they support integration with only a few platforms. The powerful anti-spam capabilities help identify issues and avoid phrases normally used in spam emails. 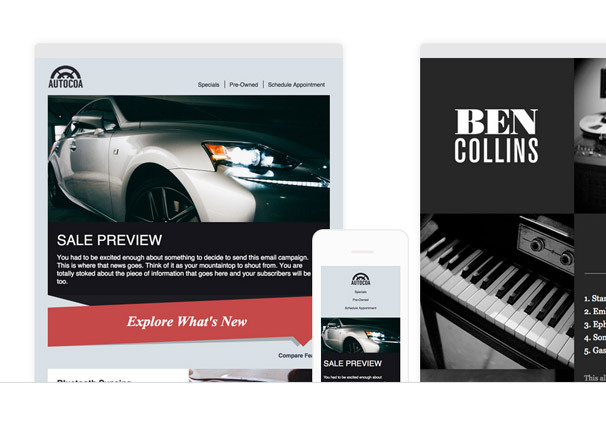 The template gallery offers a variety of beautiful and engaging emails, while users can also design their emails from scratch by using and uploading HTML-based emails. Training sessions are expensive and data import capabilities are limited. Pricing starts from $19.99/month for a list size of up to 1,250 and 50,000 emails per month and goes all the way up to $265/month (50,000 list size, unlimited emails/month). 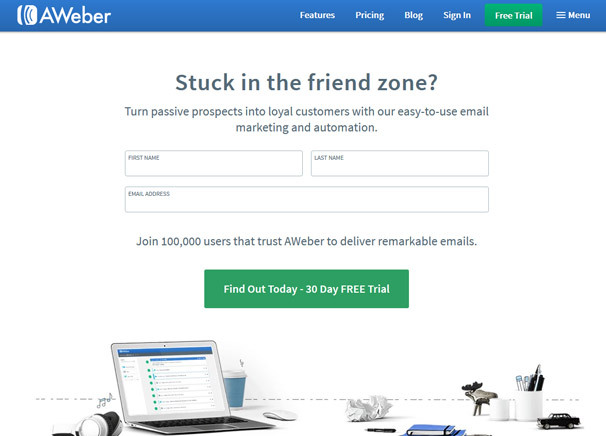 AWeber offers unlimited emails and powerful reporting capabilities at an affordable price and is one of world’s most popular providers. Small and medium businesses particularly find AWeber services interesting as it’s able to seamlessly integrate with a variety of other platforms, including WordPress. The ready-to-use email templates make it easier for users to start sending emails right away, while autoresponders, list management and tracking features provide greater flexibility and customization. Pricing starts from $19/month (up to 500 subscribers, unlimited emails) to $149/month (10,001-25,000 subscribers, unlimited emails). However, some important features are missing, including Google Analytics integration and contact import from Gmail or other 3rd party address books. GetResponse is a very popular email marketing provider among beginners and small businesses as it’s easy to use and aims to simplify all tasks. 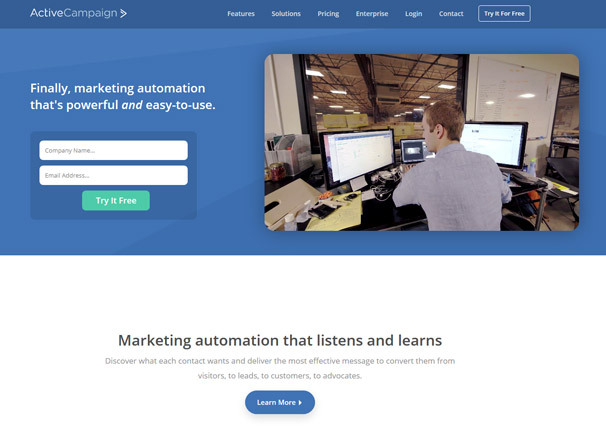 Its powerful marketing automation tools allow users to start right away using the drag-and-drop builder. 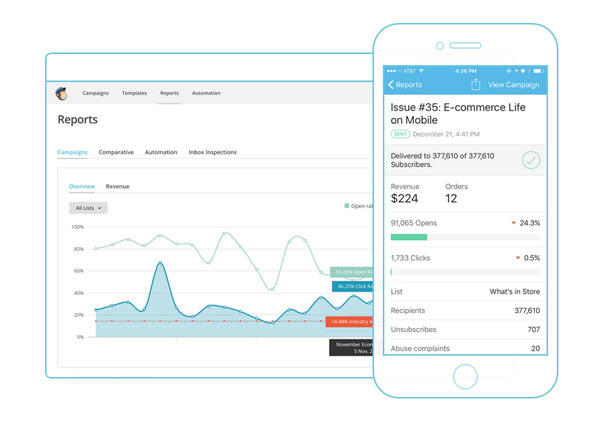 GetResponse also offers aesthetically pleasing and responsive forms, A/B testing, landing pages, autoresponders and robust tracking capabilities. Integration with a variety of platforms, including Google Docs, Salesforce, ZenDesk and OptinMonster provides more flexibility and better value for the investment. Pricing starts from $15/month (1,000 list-size), includes autoresponders, basic landing pages, marketing automation, workflows and tags and is perfect for beginners. Pro, Max and Enterprise packages cost $49, $165 and $999 per month respectively. ActiveCampaign provides users with all the tools they need to efficiently combine their email marketing and automation with CRM and sales, ultimately resulting in more effective marketing campaigns. The easy-to-use email template editor and mobile-friendly sign-up forms allow creating engaging emails and forms. Contacts can be segmented based on location, action, social data, behavior and more, while AC can also fetch additional data using email addresses of the contacts. Communication through SMS is also supported, while integration with many platforms extent functionality. Although ActiveCampaign is a relatively costlier option, the features it offers justify the price and are worth the extra money. Pricing starts from $9/month (500 contacts) and includes unlimited sending, email marketing, newsletters, marketing automation, email and chat support and up to 3 users. 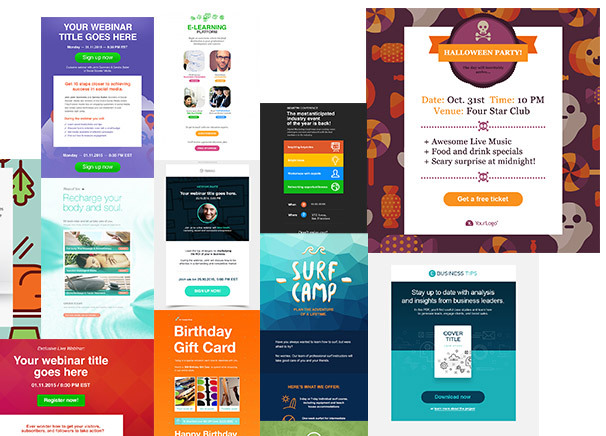 Campaign Monitor offers most of the features other email marketing service providers offer, plus a few more for successful and engaging campaigns. 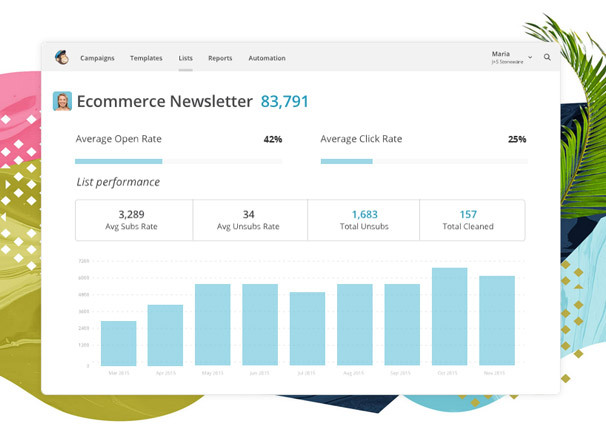 The clean and intuitive user interface and easy-to-use email builder allows users to quickly get started and create engaging emails using professionally-designed email templates. Each message can be personalized using the customer data, resulting in better responses and click rates. A/B testing, optimization, tracking and social media sharing are also supported, while the 24/7 support ensures every query is dealt timely and professionally. 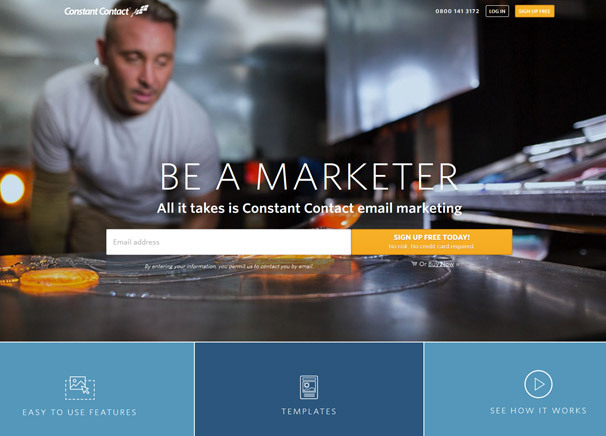 Basic package costs $9/month and allows sending 2,500 emails to 500 people. Unlimited and Premier packages cost $29 and $149 per month respectively and include unlimited emails and priority email support. 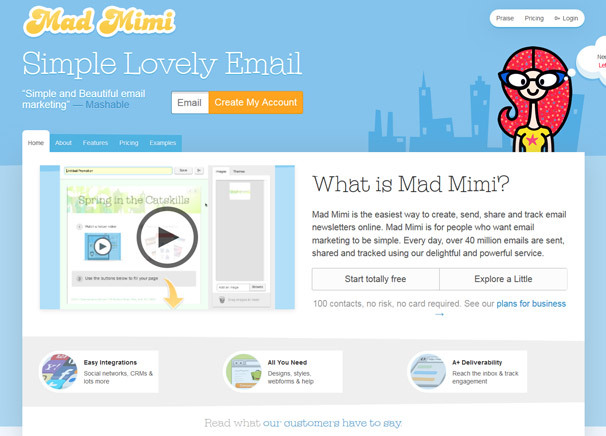 The competitively-priced Mad Mimi allows sending unlimited emails using its simple-to-use interface and uses a basic approach to almost everything. Autoresponders, analytics and split testing are part of the package, while Mad Mimi can be integrated with a variety of platforms, including Google Analytics, Freshbooks, Salesforce, Zoho CRM, EventBrite and more. Basic plans start from $10/month (500 contacts, normal speed, unlimited emails and storage), while Pro, Silver and Gold plans cost $42, $199 and $1,049 per month respectively. 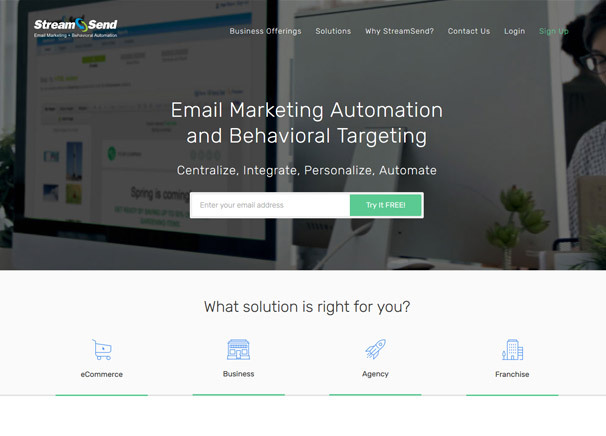 Benchmark Email is another affordable email marketing services provider that offers a lot of contact segmentation options and helpful customer support. Google Analytics tracking allows users to monitor performance, but the platform does not support contact import from Gmail or other 3rd part address books. The interface is easy to use and lets users get started in no time, while the incredibly flexible templates offer better customization. Pricing starts from $11.95/month (600 subscribers, unlimited emails) and includes A/ testing, signup forms, surveys and pills and Google Analytics integration. I have also a vendor for email marketing services. We have mastery to offer Bulk SMS Services. We provide you the freedom of 1000 SMS to your target market in each second. Excellent services provided in email marketing services. To more information follow the below link. “The post was really helpful for me , admin. Your writing skills are very collective and also i enjoyed reading the post of yours. i will surely share this post. cheers! !